America's first 'official' historian of beer. Last year, the Smithsonian Institution announced that it was adding a unique branch to its Food History Project. expand the Smithsonian’s understanding of the role beer has played—and continues to play—in American history. To that end, the Smithsonian put out a request for CVs, looking for a qualified historian to receive a salary of $64,650 plus benefits. The Smithsonian Food History project at the National Museum of American History, in Washington, DC, is seeking a professional historian / scholar to conduct archival and field research for a new initiative on American brewing history, with special emphasis on the craft industry. The position is located in the Division of Work and Industry and will be a three-year appointment. The successful candidate will have proven experience in scholarly research, organizing and conducting oral history interviews, writing for both scholarly and general audiences, and knowledge of material culture and archival materials. The candidate will work with members of the curatorial staff on collections work and develop content for a wide variety of programs and applications, including digital formats. Candidates with an advanced degree in American business, brewing, food, cultural, or similar specialization within history are encouraged to apply. Must be able to travel, work independently as well as within a team environment, to meet deadlines, and to communicate effectively with co-workers and the public. 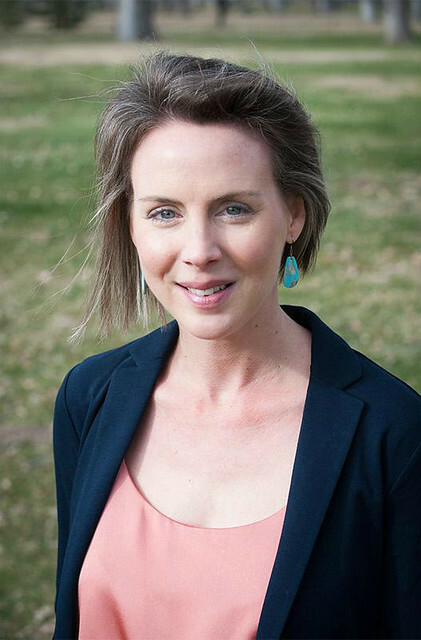 Yesterday, the National Museum of American History announced it had found its candidate: Harvard scholar Theresa McCulla. McCulla comes to the position with a background in social history and food; she holds a culinary arts diploma from the Cambridge School of Culinary Arts’ Professional Chefs Program, directed the Food Literacy Project for Harvard University Dining Services, and managed Harvard’s two local farmers markets from 2007 to 2010. She will receive a doctorate in American Studies from Harvard University in May of this year. But this is McCulla’s first time studying beer exclusively. The Smithsonian has already used food as a very critical and successful entry point into talking with the public about much bigger questions relating to American history,” says McCulla. “We really feel quite strongly that beer is a very effective lens into much bigger questions about American history. If you look at the history of beer, you can understand stories related to immigration [emphasis mine] and industrialization and urbanization. You can look at advertising and the history of consumer culture and changing consumer taste. Brewing is integrated into all facets of American history. The next phase of McCulla’s work will involve traveling around the country to visit brewers, hop farmers and other beer-focused professionals to collect objects and documents that could be put into the Smithsonian’s permanent collection. 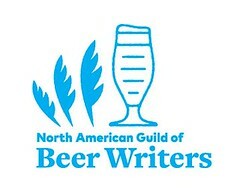 McCulla will also spend time interviewing those professionals, putting their words and stories together into an oral history of American brewing. And, throughout the process, her work will be shared with the public—either through events held at the Smithsonian, or through blog posts and social media. The [U.S.] Brewers Association —a nonprofit trade group representing "small and independent" American breweries— is financially supporting the Brewing History Initiative. By how much, or if entirely, is not clear. YFGF hopes that President Trump's hiring freeze will not torpedo this program or Ms. McCulla's hiring. 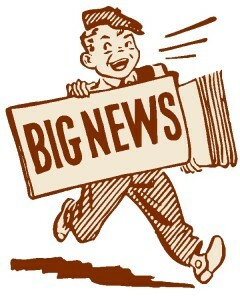 According to the Association, the project will also include two annual public programs, one at the National Museum of American History during the Smithsonian Food History Weekend, which runs 26-28 October this year, and the other in various brewing communities around the country, and will participate in the Association's Craft Brewers Conference & BrewExpo America, to be held this year in Washington, D.C., 10-13 April. Thank you to the Smithsonian for recognizing the unique role of beer in American history. Congratulations to Theresa McCulla on her appointment. It might be a bit of hyperbole, but might we consider her America's first 'official' historian of beer? 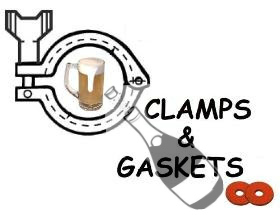 Clamps & Gaskets: News Roundup for Weeks 1/2, 2017. The animals will go to "suitable homes"; the humans will be out of a job. Ringling Bros. and Barnum & Bailey Circus to close after 146 years of operation. Hyper-local or as things used to be. Maryland farm-brewery brews beer with all of the ingredients grown and produced in Maryland. Brewing returns to the historic St. Paul, Minnesota, building that once housed the Jacob Schmidt Brewing Company (1855-1990), as 10-bbl 'craft' brewery to open in the development. 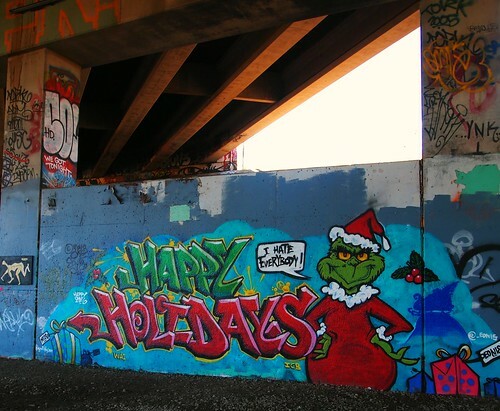 —Via Twin Cities Pioneer Press. Uh-oh. San Diego, California's Green Flash Brewing —which only recently opened a 2nd brewery, on the East Coast, in Virginia Beach, Virginia— lays off approximately 25 employees. At 1:30 in the morning, the Senate took a major step toward repealing Affordable Care Act, offering no legislation to replace it. Repeal would destabilize the nongroup insurance market beginning in 2017 as a combination of several factors — pending loss of subsidies, elimination of the requirement to buy insurance, and the requirement on insurers to sell to all purchasers including protection for pre-existing conditions — would cause prices to rise and the healthiest people to drop coverage. —Via Center on Budget and Policy Priorities. The James Beard Foundation gives a Lifetime Achievement Award to Nora Pouillon, whose Restaurant Nora, in Washington, D.C., in 1999 became the first certified organic restaurant in the United States. That time that the judges at the World Beer Cup deemed Fullers ESB —the originator!— out-of-style for an ESB (Extra Special Bitter). The oft absurdity of beer style management. Clare Hollingworth, reporter who broke news about start of World War II, pioneering female in male-dominted press, dies at 105. —YFGF quoting from Beer In Britain (1960). For the first time in more than a decade, the 'craft beer' category has failed to grow double-digits, according to new data from market research firm IRI Worldwide. Craft dollar sales at U.S. supermarkets grew just 6.9 percent in 2016, to more than $2.28 billion, while volume sales grew at an even slower 4 percent clip. By comparison, craft dollar sales at U.S. supermarkets grew more than 20 percent and volume sales grew 16 percent in 2015. The last time craft dollar sales failed to grow by double-digits was 2005. 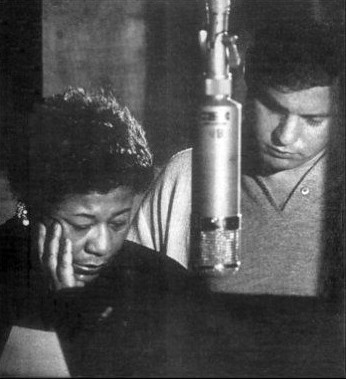 Buddy Bregman, born 1930, —a Hollywood musical arranger and conductor who worked alongside some of the top entertainers of the 1950s and 1960s and helped shape Ella Fitzgerald’s landmark “Song Book” albums celebrating the music of classic American songwriters, such as Cole Porter and Richard Rodgers— has died at 86. People tend to use the words “brewmaster” and “head brewer” interchangeably, but to me they are very different roles. —Via Mitch Steele, at The Hop Tripper. Nat Hentoff —journalist, author, champion of jazz music, defender of civil liberties— has died at 91. The 2015 vintage in Beaujolais, France, may have that region's best vintage since the 1940s. Wine Enthusaist rates it with 96 points out of 100. —Via Dave McIntyre, at Washington Post. Parker Beam (1941-2017), longtime master distiller for Kentucky-based Heaven Hill Distilleries, has died after battling amyotrophic lateral sclerosis, better known as Lou Gehrig’s disease. Grandnephew of Jim Beam, Beam was among a small fraternity of master distillers who oversaw production at various Kentucky distilleries during bourbon’s revival. Beam’s career as a whiskey maker spanned more than a half-century at Bardstown-based Heaven Hill. He was 75. Among the many lessons the craft revolution has taught us is that taking a good beer and putting it in a barrel doesn’t necessarily make it a better beer. 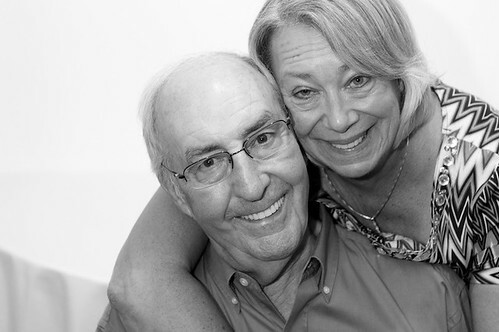 —Via Bob and Ellie Tupper, at CultureAle. Nat Hentoff, journalist who wrote on jazz and civil liberties, in particular the First Amendment, has died at 91. On this day in 1941, President Fanklin D. Roosevelt delivered his famous "Four Freedoms" speech to Congress: freedom of speech; freedom of worship; freedom from want; freedom from fear. Bryan D. Roth —dubbed "beer's Nate Silver" by beer writer Jeff Alworth— culls fifteen 'best of' lists to determine the best beer(s) of 2016. All that said, the 2016 Beer of the Year was Firestone Walker’s Luponic Distortion IPA. And it wasn’t even close. Las Vegas has become largest American city to power all of its municipal facilities entirely with renewable energy. The 'heirloom' Carolina African runner peanut —at one time, the American South's most praised peanut, first brought to America in the 1600s by enslaved West Africans, but, by the 1930s late 1800s, near extinction— is now being grown again. Expect stronger and bubblier American cider this year. The U.S. tax code just became more lenient. My 'craft' beer wish for 2017. That more 'craft' brewers would recognize that, without practice and education, innovation is an empty boast. Becoming a craftsperson is a different thing than immodestly self-proclaiming it. 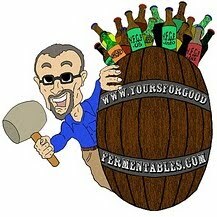 [...] 'Craft' brewers: when we purchase your beer, we are, in effect, subsidizing your education. For 2017: please learn! Pic(k) of the Week: "This American carnage stops right here and stops right now." Sixteen-plus minutes after he is sworn in as the 45th President of the United States of America, Donald John Trump exults after delivering his inauguration speech, a dark tale of a dystopian America. The photo is a screenshot of CBS News' television coverage of the inaugural ceremonies, on 20 January 2017. Good laws for good breweries in Georgia? Georgia is one of two states left in America where breweries cannot sell/serve beer to customers directly — like in a taproom — ye old Mississippi is the other one. In fact, Georgia has really become a battleground for trying to revise regulations — a multi-year struggle by the government (Department of Revenue), the brewers, and the state’s powerful alcohol wholesalers. Last year, begrudgingly, the state allowed breweries to sell beer via a dumb tour loophole scheme. The new rules allow brewers to sell tours of their facilities at different prices based on the quality and amount of beer customers receive as “free souvenirs.” That’s so obtuse and complicated. In response, we here at CBB are offering an alternative idea to this bizarro law: Allow craft breweries to sell draft pints in taprooms and sell a certain quantity of beer directly to customers." Simply put, Georgia is one of only two states in the United States which forbids its breweries from selling their beer to their customers in their taprooms. Mississippi is the other. That is, until TODAY. Maybe. The Georgia Craft Brewers Guild has just announced that they and the Georgia Beer Wholesalers Association "have found common ground": the 2017 Georgia General Assembly will consider legislation to allow consumers to purchase beer directly at brewery taprooms ... as state wineries, by the way can already do (sell wine to visiting patrons). According to the most recent data from the [U.S.] Brewers Association, Georgia ranks 48th in breweries per capita, 41st in economic impact per capita, and 17th in overall craft beer production. In 2016 Georgia added 11 new breweries and brewpubs continuing a consistent trend of growth. This just makes economic sense. 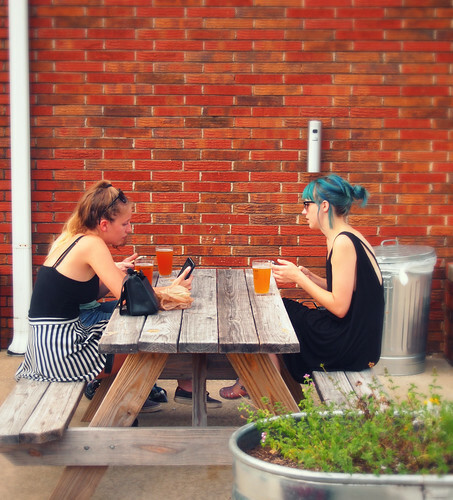 Wherever state laws have been amended to allow brewery-to-customer beer sales in brewery taprooms, the number of breweries has grown, and often dramatically (and that would be in all of the forty-eight states and Washington, D.C., where it has happened). Translated, that means a rise in local employment and a rise in local and state tax revenue. Wholesalers, some of whom have seen the changes as threats to their business, instead have seen small breweries fill their taprooms with customers and gain the capital to grow, and then look to wholesalers to assist in out-the-door sales. It appears that Georgia legislators and large beer wholesalers may have looked at those numbers and reached the same conclusions. But don't count your laws until they're passed and signed. Stay thirsty. Stay vigilant. The Georgia Craft Brewers Guild was founded in 2010. With its published mission to "promote, protect, and further the craft brewing industry in Georgia," the Guild has helped lead on the taproom issue. There are currently forty-five member breweries in the Guild, with at least ten more expected to open in 2017. The state brewery total is actually higher than that. Beer Guys Radio —a podcast on 'craft' beer in Georgia and Alabama— counts sixty-six breweries and brewpubs in Georgia, of which some are obviously not dues-paying members. On Saturday, the Guild will celebrate #GeorgiaBeerDay at breweries, brewpubs, and good-beer bars and shops across the state. It's both a fundraiser to help promote the Guild's mission and an acknowledgment of the Georgia 'craft' brewery industry, a small-business industry, growing statewide. 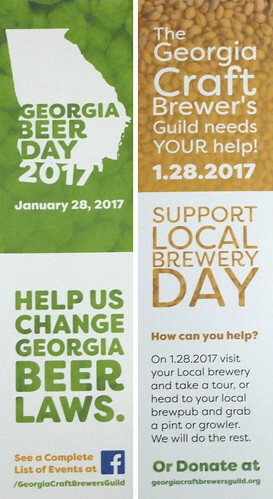 Visit your favorite local breweries and brewpubs on January 28, 2017, as they fundraise on behalf of the Georgia Craft Brewer's Guild! Proceeds from events, tastings, beer dinners, and more will help push Georgia beer forward. We are excited for 2017 and hope you are too! Maybe —maybe more than maybe— Saturday will indeed be a day to celebrate. Georgia is this blog's new home; YFGF will be celebrating, too. Associated Press reports that Georgia Bill #SB85 has passed the Georgia Senate by a vote of 49-2. Georgia brewers are now one step closer to being allowed to sell their own beer in their own breweries. The legislation now moves to the House, "where it has support from influential representatives." Ale Sharpton reports that The Georgia House voted 147-41 to adopt an amended version of Senate Bill 85. Because the House bill adds a provision for distillery taprooms, it needs to be agreed upon by the state Senate before it can head to Governor Nathan Deal for his signature. If that occurs, and the governor signs the legislation, the law would go into effect on 1 September. A brewery will need an additional surety bond in order to be legally compliant for these sales. Per GPB News, the Georgia Senate approved SB85 on 22 March, by a vote of 52-1 (amending it to include the distillery option added by the House). From here, the bill heads to Governor Nathan Deal. If he, as expected, signs it, the law will take effect on 1 September. At the Craft Brewers Conference in Washington, D.C., Matt McLaughlin, president of the Mississippi Brewers Guild was given the 2017 F.X. Matt Defense of the Craft Brewing Industry Award by the [U.S.] Brewers Association in recognition of his successful efforts to change Mississippi's small-brewery laws. Georgia Governor Nathan Deal signed SB85 into law today. Its provisions will take effect beginning on 1 September 2017. As of today, breweries in the state of Georgia are allowed to sell THEIR beers in THEIR taprooms to THEIR customers. Georgia becomes the 51st (that is, the last) of all 50 states and Washington, D.C. to permit this. By definition, [ordinary bitter is] intended as an everyday quaffing beer for having a couple of pints at lunchtime without writing off the rest of the day, or an evening session in the pub that still leaves you reasonably clear-headed the following morning. It’s not meant to be an exotic show pony for sniffing, sipping and holding up to the light. probably still accounts for half of all cask beer drunk in the UK, and undoubtedly more if you extend the definition to include keg ales too. But it still tends to be regarded as something of a poor relation against more fashionable, stronger and more heavily-promoted beers. Which ordinary bitters stand out amongst those currently available? 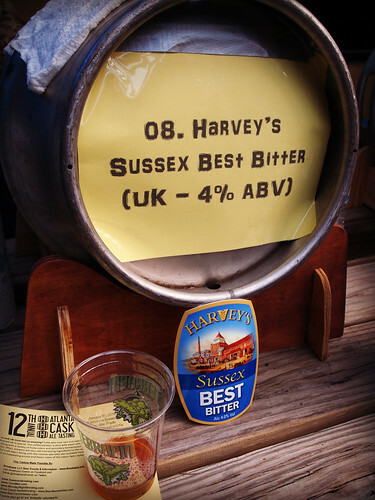 The one that immediately springs to mind is Harvey’s of Lewes, which many see as a perfect balance of malt and hops. Whether Sussex is an ordinary (but not so ordinary) bitter or a best bitter, I'll not debate dinging nits. I'll simply stipulate to its goodness. In 2005 and 2006, it won the Best Bitter category at the Great British Beer Festival. Last year, I was happy to taste it, not there, but over here, at the 12th annual Atlanta Cask Ale Tasting. It had survived its trans-Atlantic voyage well. I hope it will again be so fortunate, later today, at the 13th annual. To which, I answer, “Yes —a hearty quaff and repeat— yes.” Bravo, session beer. Why it's time to ‘just say no’ to cask ale. Bar staff saying 'it seems all right to me,' or 'well, no one else has complained,' when I take a pint back to the bar and patiently explain that it's laced with diacetyl. Being told that the beer is supposed to be flat and dead because that's what real ale is like. Taking back hazy pints and being told it's supposed to be like that because it's craft beer. Pints that are not off, or infected, or hazy, but just dull and sub-par, whether because the beer is tired or because it's not finished its cellar conditioning and shouldn't be on sale. We're always saying cask ale is special, unique, a cut above other beer, that it requires more care and attention. If you're not prepared to treat it like that, you're not supporting cask ale - you're wrecking it. [...] Do yourself, your customers, and cask ale brewers a favour and stop selling it. For Pete Brown, of all people, a partisan of cask ale, to confess, “I’ve mostly stopped drinking cask ale,” is a disconsolate and surprising thing indeed. Commentators have noted that the article's title is click-bait: Mr. Brown is referring to 'bad' cask ale not to cask ale per se. But, in fact, Mr. Brown states that he has "mostly stopped drinking cask ale" because he finds too much in poor condition. It's this confession, his finding, not the editor's title, that is inflammatory. And, I’m afraid that I’m 90% there with Mr. Brown when it comes to cask ale in the U.S.
Why should I waste my dollars on that? Why, indeed, when I can enjoy a well-crafted beer ... on draft? Pic(k) of the Week: The Breweries of Great Britain & Ireland, in 1958. In April 1958, British newspaper The Times published a month-long special supplement. It offers a comprehensive survey of the very varied aspects of beer, from barley to consumer. 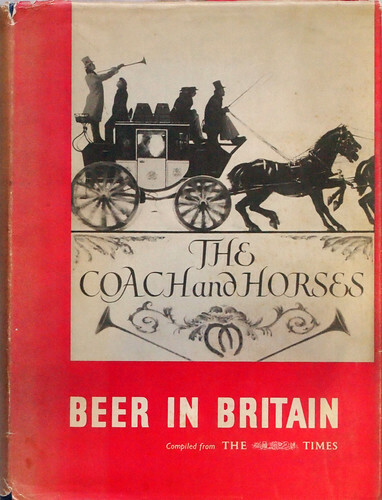 ¶ Beer is known as Britain's national beverage, and this volume contains something of interest to most people. In 1960, The Times compiled the articles, publishing them in a standalone book, Beer In Britain. 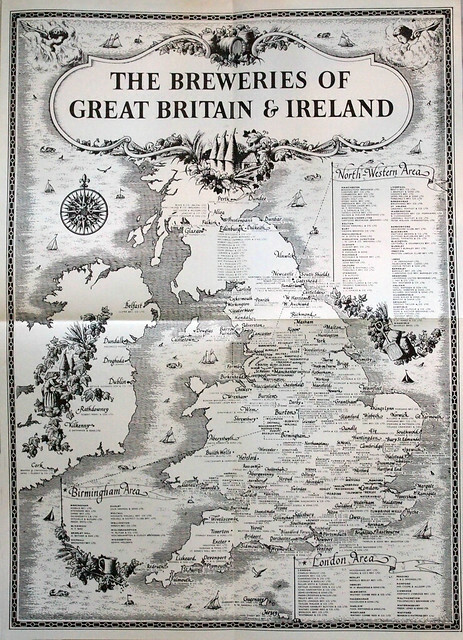 The map is from that book, long out-of-print. Like the book, many (most) of the breweries depicted are now long gone. 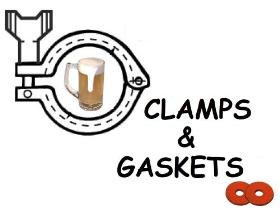 Clamps & Gaskets: News Roundup for Weeks 51/52, 2016. To keep 'atomic' clocks synchronized with Earth's orbit, one 'leap' second was added to the last day of 2016, at 23:59:60 Coordinated Universal Time (CUT). Scientists have measure gravitational waves for the first time. That, and other findings of science in 2016. Seventy-five years after Imperial Japanese warplanes destroyed the Pacific fleet at Pearl Harbor, Hawaii, and drew the United States into World War II, a Japanese leader —Prime Minister Shinzo Abe— visited the site of the attack and offered condolences. Anheuser-Busch InBev, MillerCoors, Ulysses Management, Fireman Capital: the business of U.S. big beer and big 'craft' in 2016. [Anheuser-Busch InBev], the other existing U.S. brewer that did multiple deals in 2016 was Lagunitas Brewing Co. It formed “partnerships” with Petaluma, California, neighbor Moonlight Brewing, Texas-based Independence Brewing Co. and Southend Brewery & Smokehouse in South Carolina. Compared with deals announced in prior years, most of these were for relatively small companies. The largest brewery to sell all or part of itself was Brooklyn Brewery, in which Japanese giant Kirin bought a 24.5 percent stake. Many foreign brewers, like Kirin, remain interested in expanding their businesses and investing in the U.S. craft segment. There could be many similar deals where this one came from. Financial entities also expanded their ownership of U.S. brewers in 2016. Early in the year, Ulysses Management added to its prior purchase of Southern Tier Brewing Co. by acquiring a majority of Victory Brewing Co., forming a company it’s calling Artisanal Brewing Ventures. And the group backed by Fireman Capital Partners and led by Oskar Blues Brewery added Cigar City Brewing Co. to its arsenal of commonly owned craft brands. A number of other smaller breweries also completed transactions this year, with buyers varying from local media and restaurant companies to even-smaller breweries. An average of two deals per month hit industry headlines during the first 10 months of 2016. No single deal shifted much more than 0.05 percent market share between U.S. brewers. But taken together, this one massive deal and many smaller ones contributed to ongoing fundamental shifts in the U.S. beer industry. Vera Rubin, who transformed modern physics and astronomy with her observations showing that galaxies and stars are immersed in the gravitational grip of vast clouds of dark matter, has died at 88. Dark matter, which hasn't been directly observed, is now known to make up 27 percent of universe — as opposed to 5 percent of the universe being normal matter. Dr. Rubin's scientific achievements earned her numerous awards and honors, including a National Medal of Science. Having suffered gender discrimination in her field, she was a lifelong champion advocate of women in science. George Michael, the English songwriter who was one of pop's reigning stars, dies at age 53. 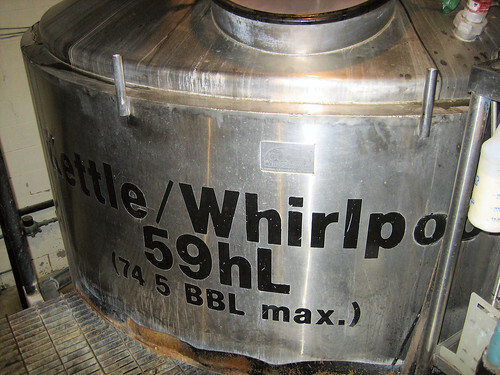 A casual observation by Albert Einstein would lead, years later, to the innovation of the wort clarification whirlpool at Molson Brewery, in 1960. Gold, frankincense, and myrrh? The Earth's last wild frankincense forests, in Somalia, are threatened with extinction. Lost among details of [Japanese brewery and soft drink corporation] Asahi buying Pilsner Urquell [from SABMiller] is the fact that the parent company now effectively has cornered the market on Saaz hops. —Tweet via Bryan D. Roth. The U.S. abstains from a United Nations Security Council resolution criticizing Israeli settlements in Palestinian territories. The abstention from the U.S. was a rare occasion where the U.S. did not protect Israel from criticism on the international stage. The U.S. has previously vetoed thirty resolutions regarding Israel and Palestinians. 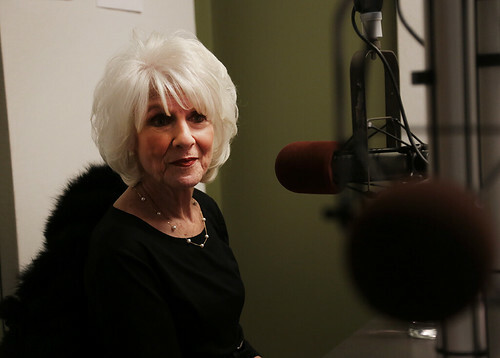 Ending a run of more than thirty years on the air, Peabody-award-winning talk show host Diane Rehm ends her news and public affairs program broadcast over National Public Radio. Glühwein: Mulled red wine, Austria, during the Christmas season. Warming and festive. Mumme: the original winter warmer? A German beer "to be eaten with a knife and fork,” dating back to the late 1400s. —Via George Rivers, at Beer Strength Matters. Ken Grossman —owner of Sierra Nevada Brewing— and his wife, Katie Gonser, give UC Davis Brewing Program at the University of California Davis a two-million endowment, providing for an endowed Brewer position dedicated to mentoring and managing students and teaching assistants, maintaining the campus brewery and its equipment, and assisting in teaching brewing classes. A Los Angeles, California, bar is selling Colt 45 40-ounce bottles, in brown paper bags, for $15 a bottle. And people are buying. Obama permanently bans offshore oil and gas drilling for large swaths of Alaska's Arctic and East Coast's Atlantic seaboards. A bubbly effect of global warming? Southern England is now producing critically acclaimed sparkling wines. —Via Dave McIntyre,at Washington Post. Dr. Henry J. Heimlich, inventor of lifesaving technique for choking victims, dies at 96. Pic(k) of the Week: Farewell, 44. 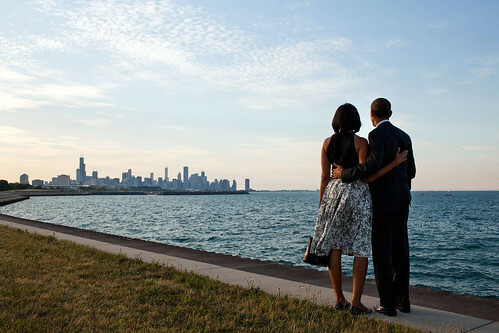 White House photographer Pete Souza poignantly posed this image of the 44th President of the United States, President Barack Obama, and First Lady Michelle Obama, gazing at the Chicago, Illinois, skyline, as the conclusion of Obama's second presidential term was drawing near. Wistfully, I and many Americans thank the Obamas for their eight years of White House service to our nation, and wish them a hale and hearty future. And, you know, '44' —President Obama— is the nation's first President, since George Washington, to brew beer. He is the only President ever to do so at the White House —our first Brewer-In-Chief. His successor-to-be will not. '45' is a lifelong teetotaller. Cleverly (to my mind), I call this practice the Pic(k) of the Week. Each week, it's a photo (or, should I say, digital image) usually taken (or created) by me, and usually (but not always) with a good (or bad) fermentable as subject. That is some significant hedging. I am not a photographer; (to paraphrase the old pharmaceutical ad campaign) I only play one at YFGF. Today at YFGF, I've posted, in thumbnail fashion, the entire fifty-two-entry rotogravure for 2016. Thirty-two of the fifty-two photos I selected were of beer in some fashion: ten were at breweries, of which five were brewpubs. Three of the photos were brewers working. Another one was a smart-dressed Pabst man at a minor-league baseball game. Only four were of beer-and-food. One of those was of beer IN food; another was a beer lunch in a hop field in the U.K.: an example of a photo not taken by me, but of such a stellar scene that I secured permission to re-post it. Five photos were nostalgic: from my former bailiwick. Three photos were baseball related. One photo was taken at a jazz performance, and tangentially baseball-related. A few went to the dogs. One was vehemently vegetarian. I selected no pictures of cask ale for inclusion last year. That's a sad first for me, a cask ale nut. 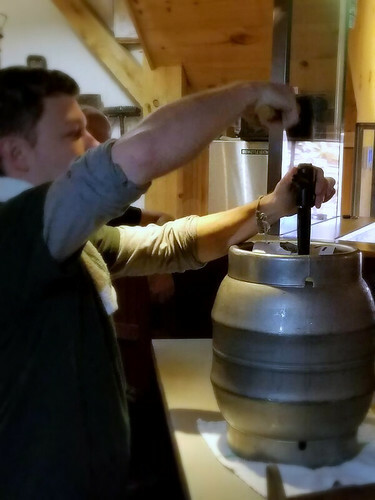 Over the year, I simply didn't encounter any good cask ale in Atlanta, Georgia (other than a few imported UK-produced pints at a local cask ale festival). That's a topic for another day. This Saturday, 7 January, I'll post a new Pic(k) of the Week, and the series will begin anew for 2017.